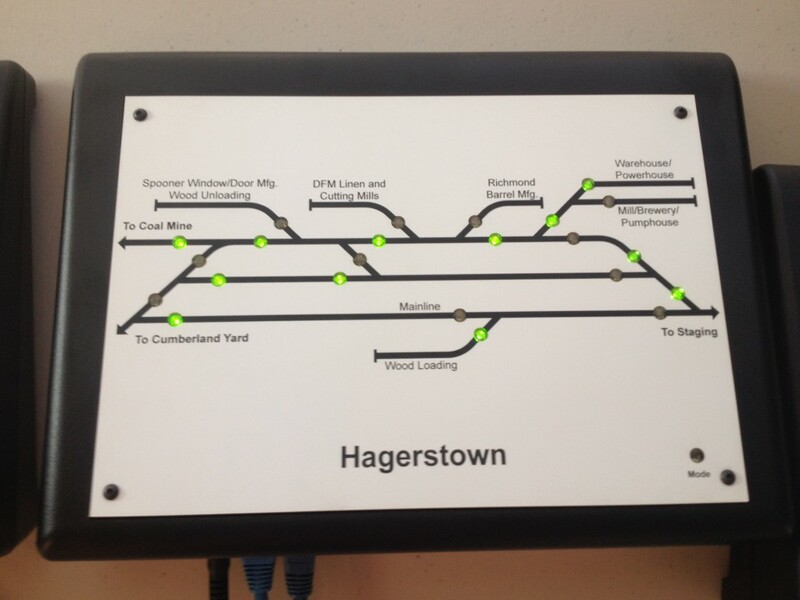 Our Layout Controller has been upgraded to support integration with DCC Command Stations. 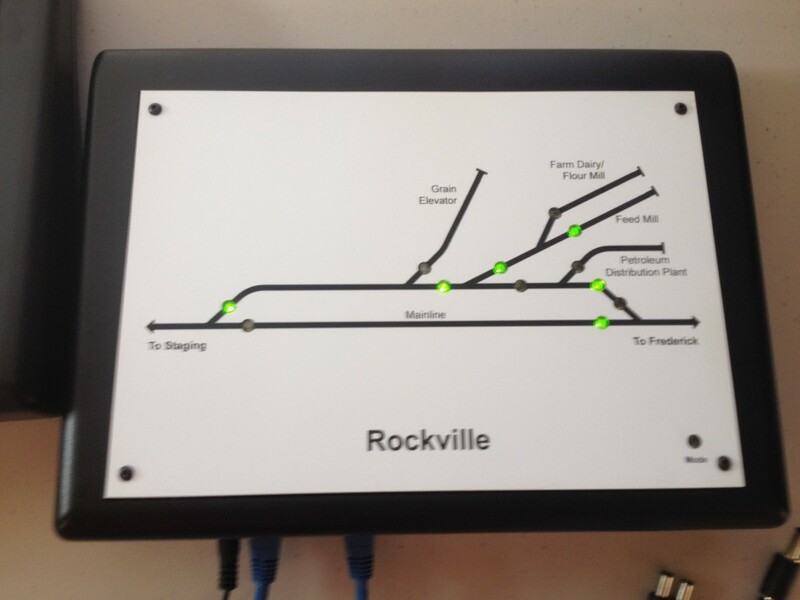 This allows our panels to control DCC enabled turnouts. 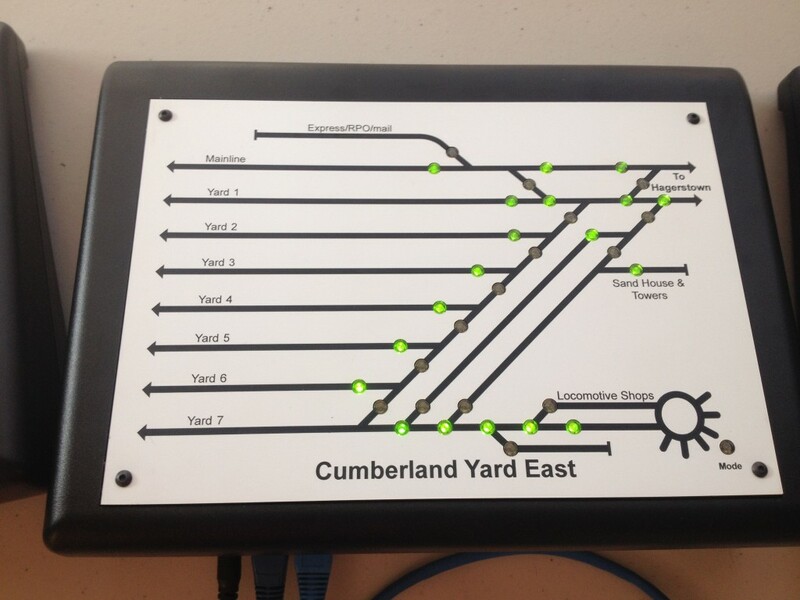 Please see images of the front and back of our Layout Controller below. 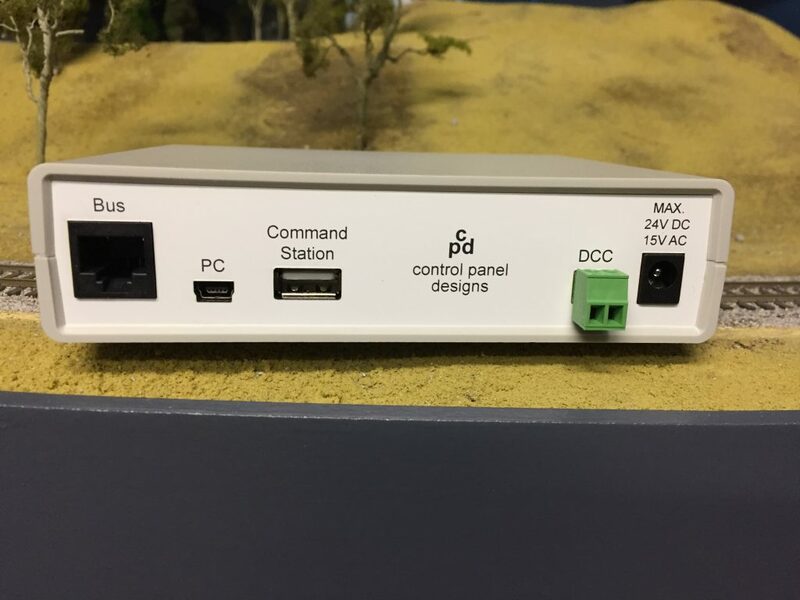 We have developed DCC integration for our Layout Controller. 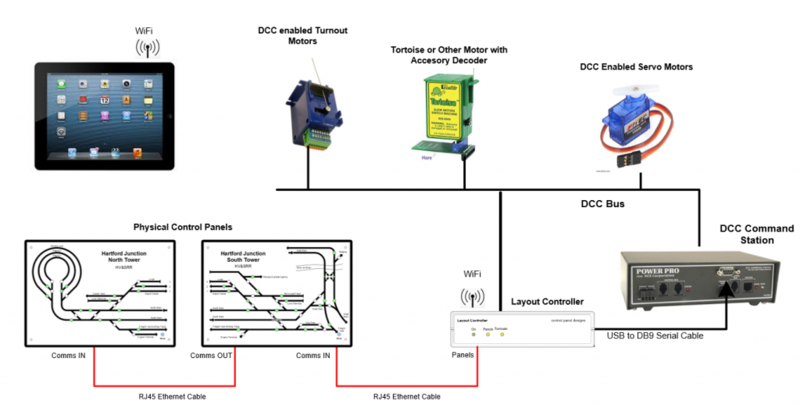 This means that customers can use DCC enabled turnout motors, connected to a DCC Bus. 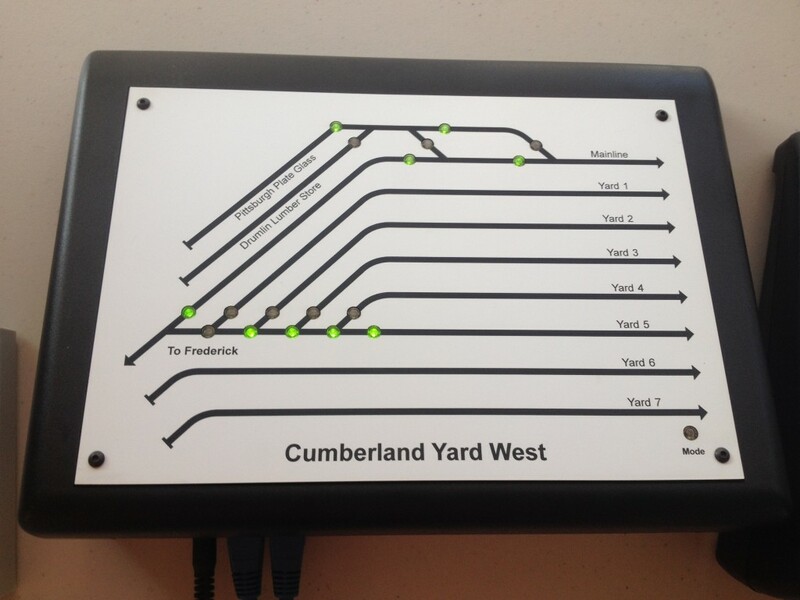 Customers can still choose to use our Turnout Controllers for non-DCC enabled turnouts, or have a mixture of both. Please see Solution Diagram below, which illustrates how the integration is done. 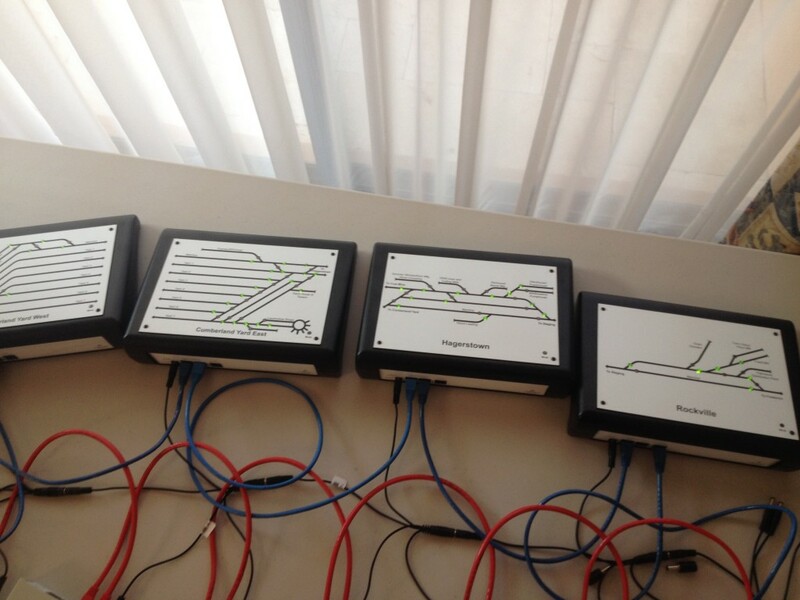 At the moment we support integration with NCE Command Stations. Further DCC manufacturers will be added in the near future. Please email brendan@controlpaneldesigns.com with your preferences. 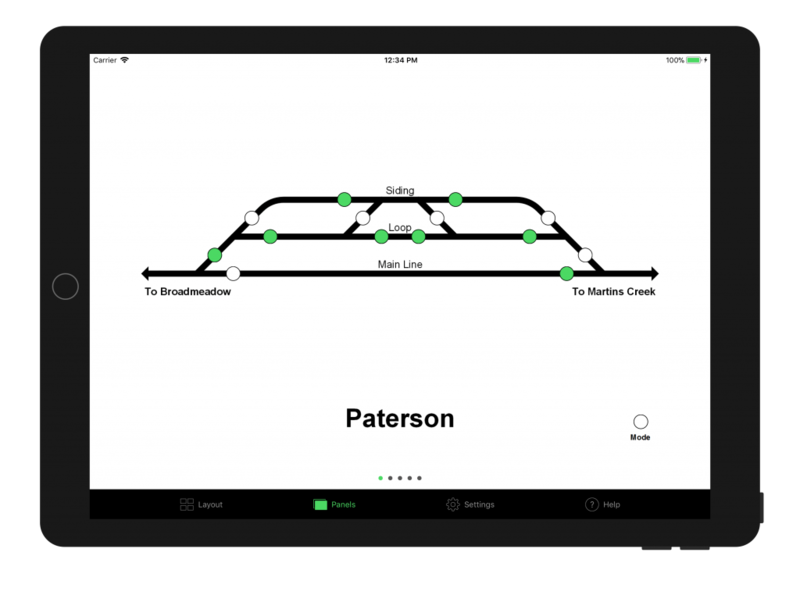 We have successfully redeveloped the iPad app, and it is now available. 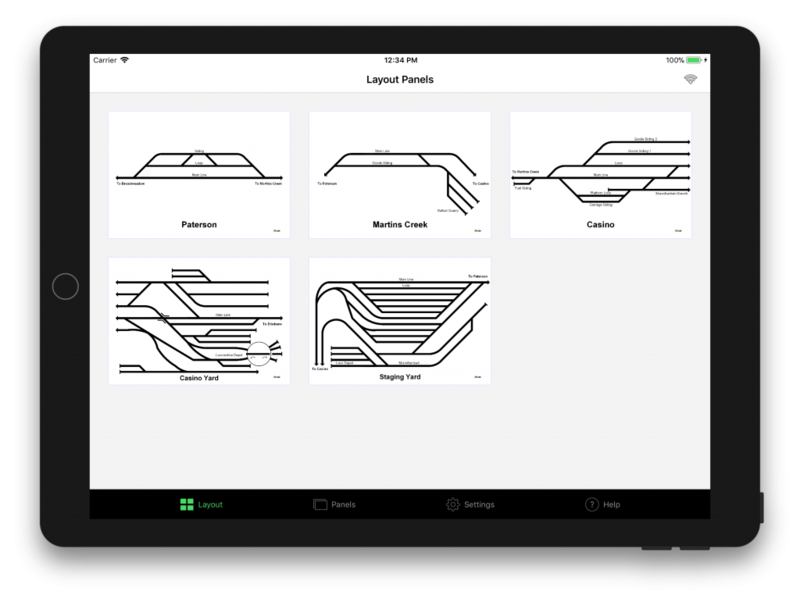 The app can be found by navigating to the Apple app store on your iPad and searching for ‘Layout Central’. We are currently working on the Android version of this app, and it will be available in the near future. Some years ago I decided to take inventory of my valuable collection and update it as I purchased or built new items. 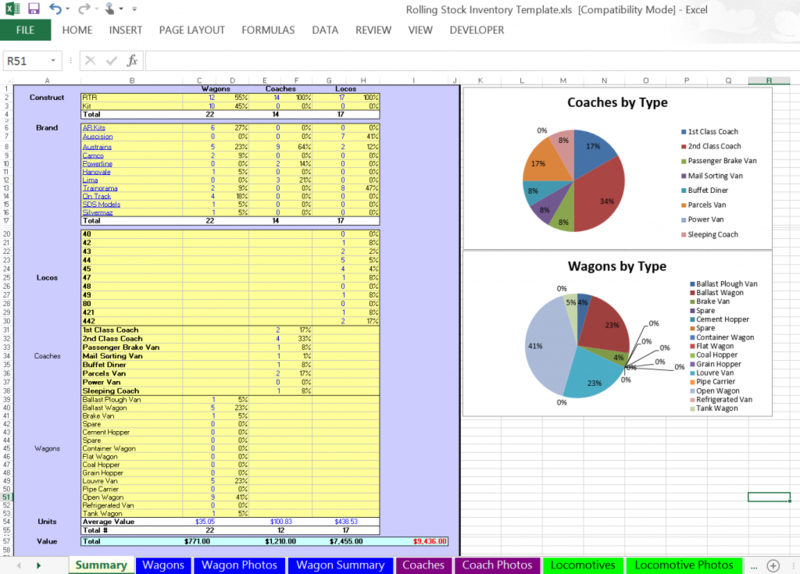 I used Microsoft Excel to create a spreadsheet that maintains lists of wagons, coaches and locomotives. I then used formulae to create a summary page and some graphical charts. You too can use this utility to maintain an inventory of your own collection. This approach is useful for keeping track of what you have. And would be invaluable if selling your collection, or if someone else had to sell your collection. 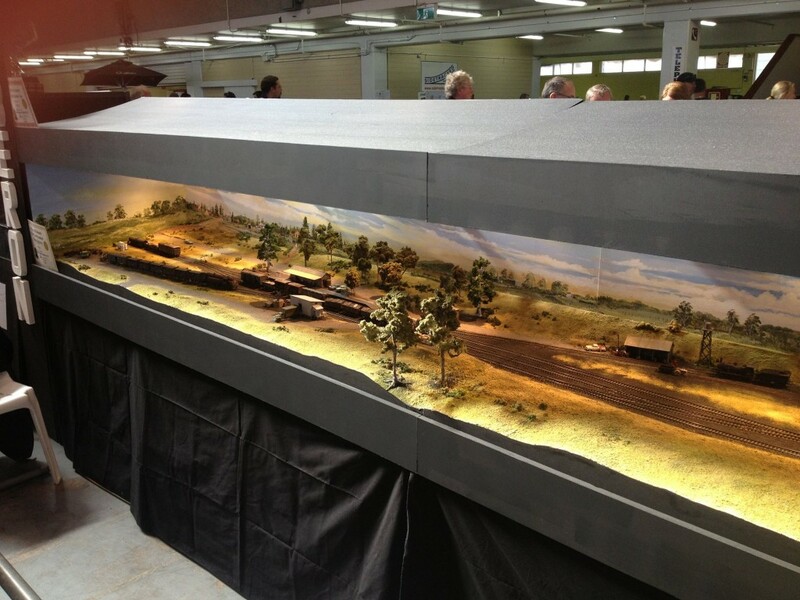 I also wrote an article about this in the Australian Model Railway Magazine. (AMRM #270. June 2008. Page 33). If you would like a copy of the article I wrote, as well as a copy of the spread sheet template please email me (brendan@controlpaneldesigns.com) to receive your free, no obligation copy. Please note that Control Panel Designs may email with you with other offers from time to time. 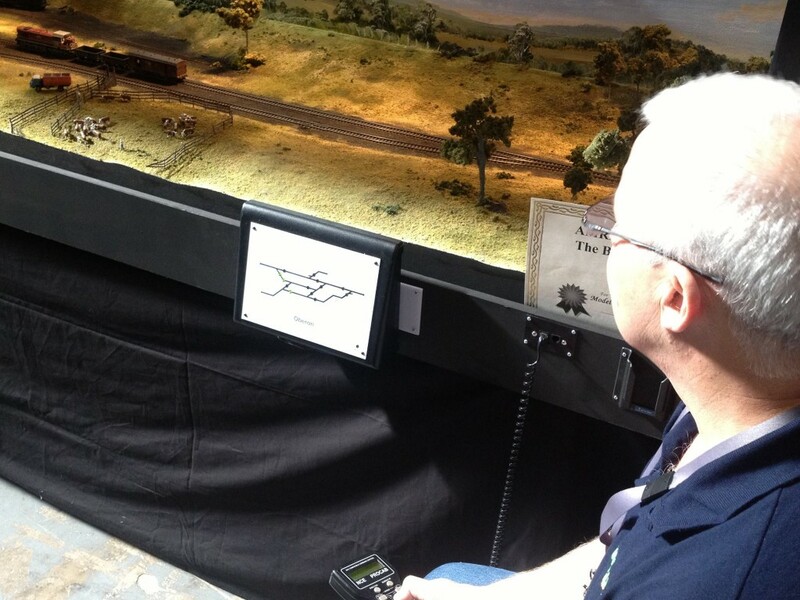 We now have evaluation kits available to those who want to TRY before you buy. 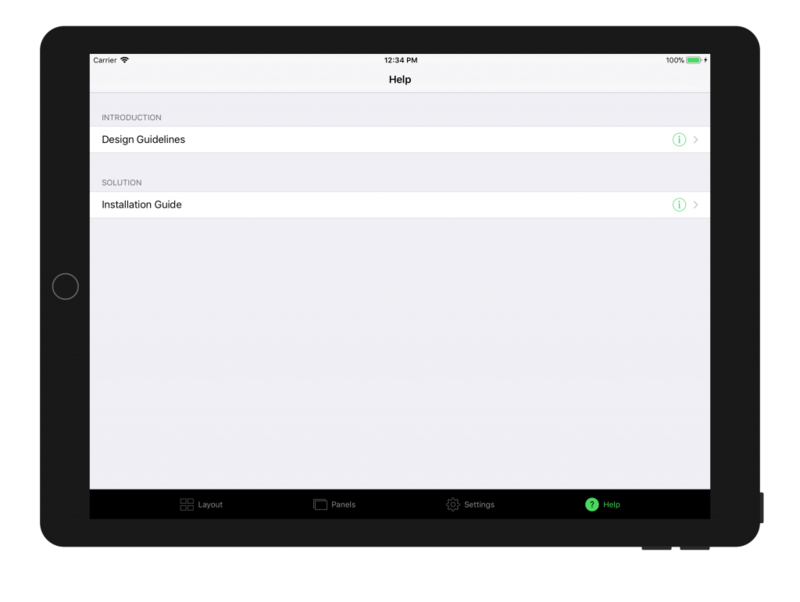 iPad access to the panels is also provided. 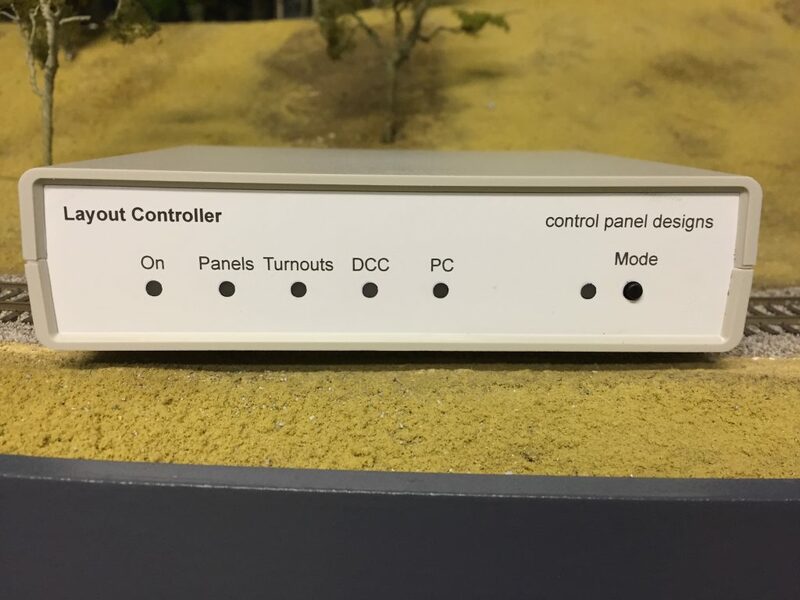 Please email brendan@controlpaneldesigns.com for more information or to book a no obligation, free, evaluation. Now for something completely different that may interest you. 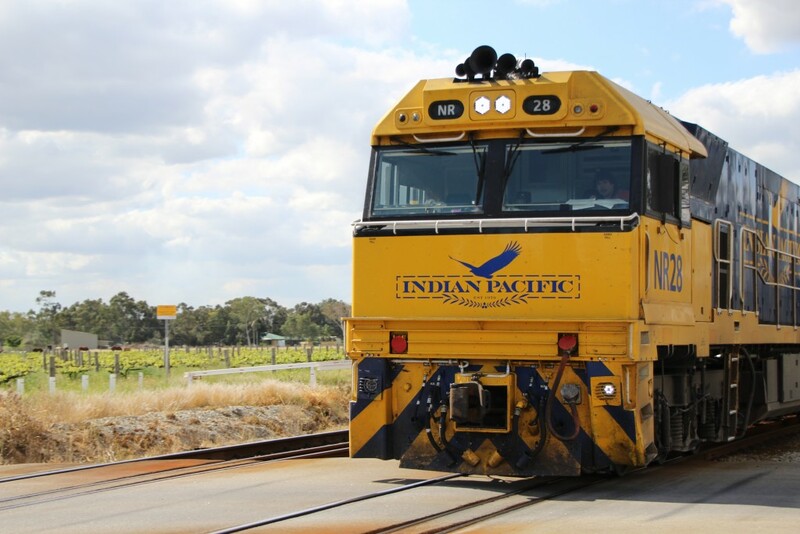 Below is the Perth bound Indian Pacific, running late, and crossing Hadrill Road in the Swan Valley on the outskirts of Perth Western Australia. 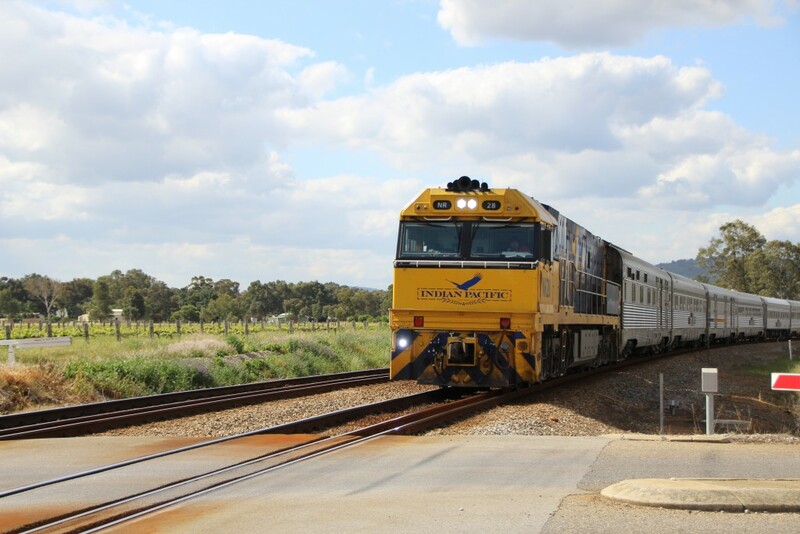 The train after crossing the Australian Continent from Sydney is less than 30 minutes from it’s destination. 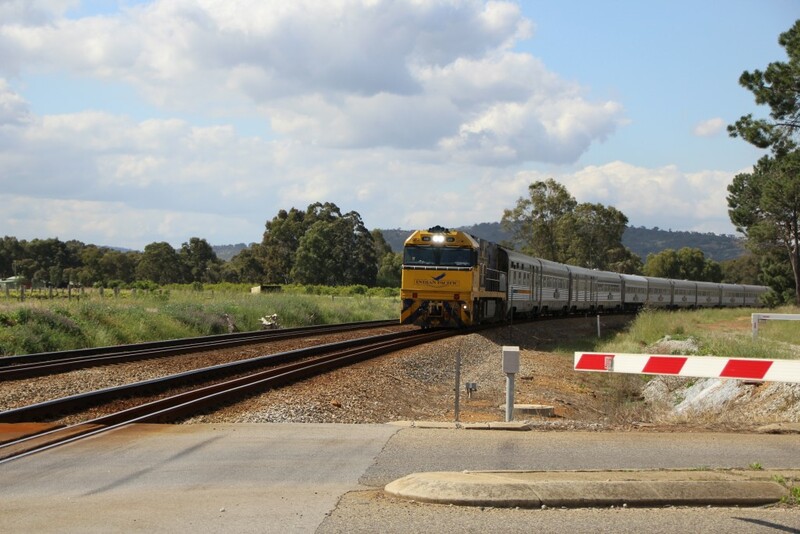 My house is about 7 minutes drive from this level crossing. 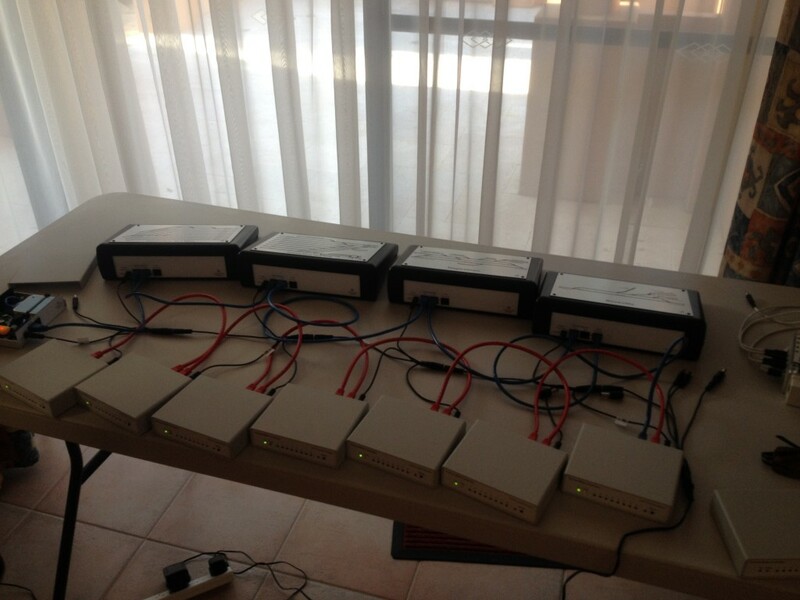 The following photos were taken during testing of a customer solution, showing most of the components staged on the work bench to test connectivity and operation. 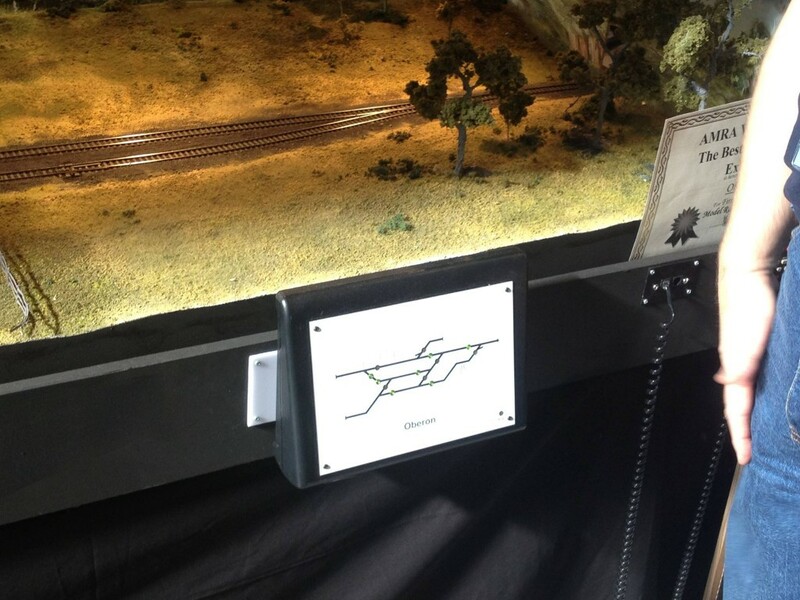 Oberon is a HO Scale New South Wales Government Railways layout set in the 1960s. 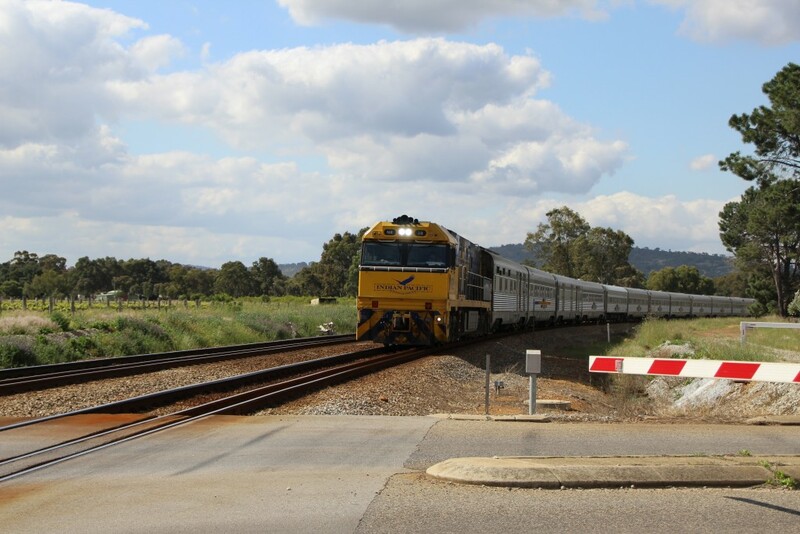 Oberon is a real town in western New South Wales. Copyright Control Panel Designs 2014.